Belgium in north-western Europe is one of the most flourished nations in the continental Europe. It is neighbored by France, Germany, Luxembourg, the Netherlands and the North Sea. 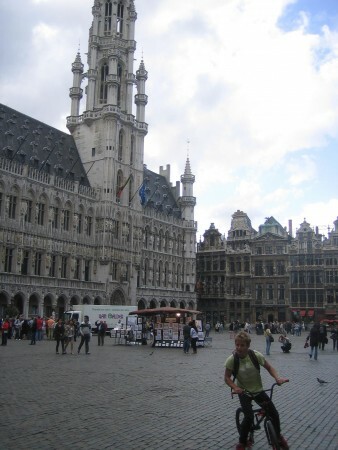 Brussels at the center of Belgium is the country’s capital. Conversely, the political law of the nation doesn’t allow Belgium to have a capital city as it is overlapped by the boundaries of different regions, each of which has their own capital. I spent 10 days of my vacation in Belgium and it was a wonderful experience. Belgium is the cradle of a rich diversity of cultures. It is politically disintegrated into two major parts, namely, the Flemish Region and the Walloon Region, also called Wallonia. The natives of the Flemish Region speak Dutch while those from Wallonia use French as their mother tongue. Aside the two halves of Belgium, there is another third and minor fraction of the country and that uses German as the principal medium of communication. While the enigmatic diversity of cultures springs from this lingual difference, it also serves as the seat of a political conflict that underlies the two regions of Flemish and Walloon. What is not popularly known is that Belgium has a strong association with Roman Catholicism. It is quite interesting to note that despite the political dissemination, Belgian culture has a perceivable impact on the art and culture of Europe as a whole. 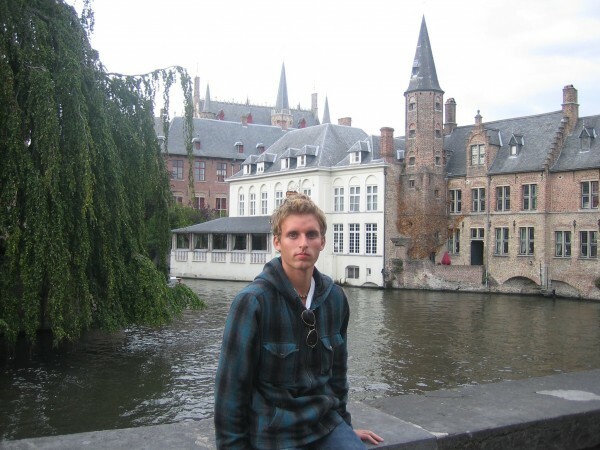 Belgium is equal in both its parts, and looks over the holistic safety of the country. Communal distinction is unfailing with separate media and unilingual educational institutions. Flanders and Walloons draw their inspirations and borrow words from English and Dutch, and French respectively. Belgium is a site of interest for culture vultures and architecture aficionados. The north and south of Belgium houses two different styles of architectures. It is the ensemble of styles which make Belgium architectures interesting and exclusive. Belgium stands high in its production of beers and chocolates. Waffles and French fries are two other specialties of the country. Though named French fries, it is a native dish of Belgium. 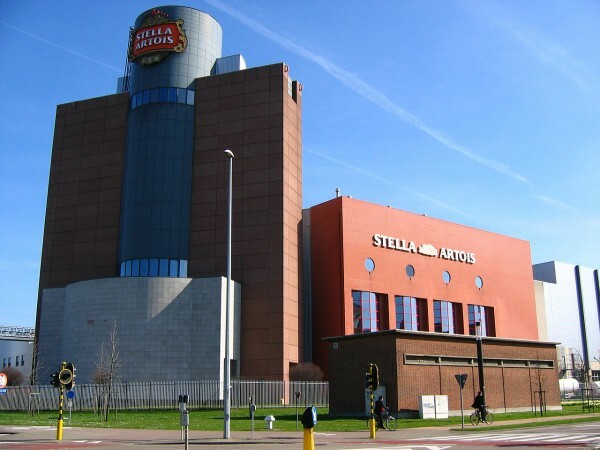 Stella Artois, Duvel Leffe, and Hoeegarden are some of the noted Belgian brands of beer, each of which has their own exclusive breweries where the beers are produced. Belgium welcomes its guests with a plethora of attractions, the ideal of all being Bruges, the canal city. 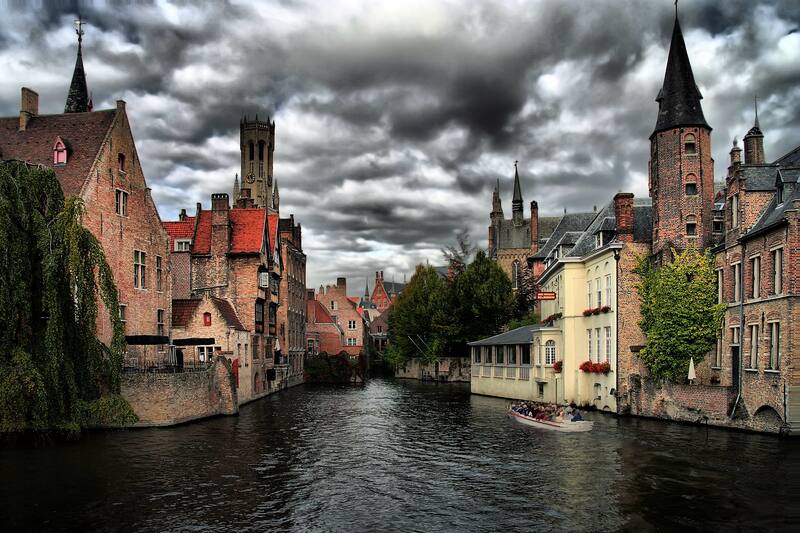 Bruges is dotted with neat and dandy houses and marvelous cathedrals and historic architectures. Nicknamed the Venice of the north because of the waterways, it is one among the very few most finely preserved of medieval cities on the planet. Belgium also houses a downtown area which stretches over an esplanade of houses from Hallmark cards, a mammoth town hall and a towering Belfry. The city’s canals serve to conjure a quaint picture of a sleepy Scandinavian town. The Saint Salvator’s Cathedral is a signature attraction of the city. Other touristy places are the Basilica of the Holy Blood from the crusaders’ time and the Church of Our Lady. Old St. John’s Hospital in the area is one of the oldest erected hospitals from the medieval times. UNESCO branded Belgium as a world heritage site because of its historical possessions. The most ancient of cities in Belgium is Tournai that also has the identity of a cardinal culture center. 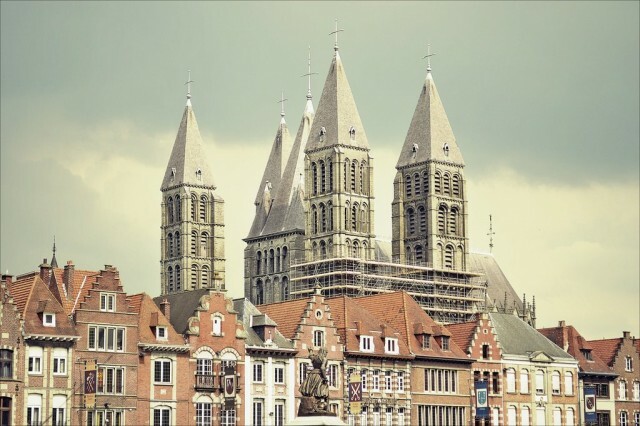 An UNESCO recognized heritage site, the city’s Our Lady of Flanders is a phenomenal cathedral built in classic Romanesque and Gothic styles. The bell tower adjoining to the church is the oldest the country has. The “Pont des Trous”, the bridge that makes a walkway for an idle romantic strolling is another must-see. 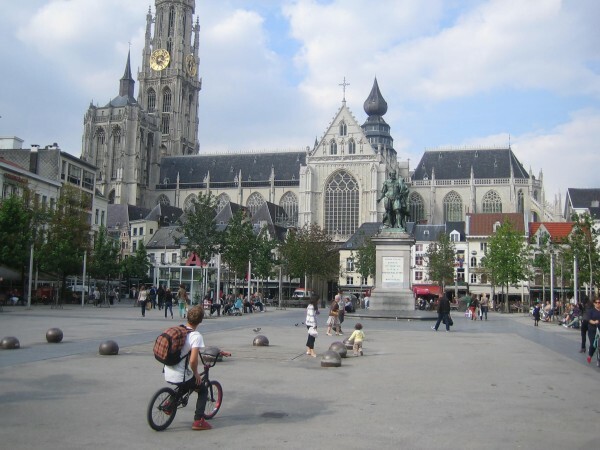 The city center, like the rest of Belgium is generously distributed with cafes. Though not pocket-friendly per se, but they contain the bona fide, classic European ambience that is worth the money. The capital of Belgium is a true treat for the tourists. Though French is the language of communication, it is bilingual and that makes its culturally heterogeneous from the rest of the country. Same goes for the architectures of the city which bears a distinguished identity. The Grand Place, and UNESCO heritage site is dotted with monolithic structures and stately houses, museums and the Town Hall. The vibe of the city can be best felt by the exuberant crowd it hosts. The palace of Atomium, the Palace of Laeken and St Michael and Gudula Cathedral are other attractions of the city. Antwerpen is the culture and economic hub of the country, and hosts one of the most important world ports. The city wears a typical Flemish character. The oldest site in the city is the Grote Market. 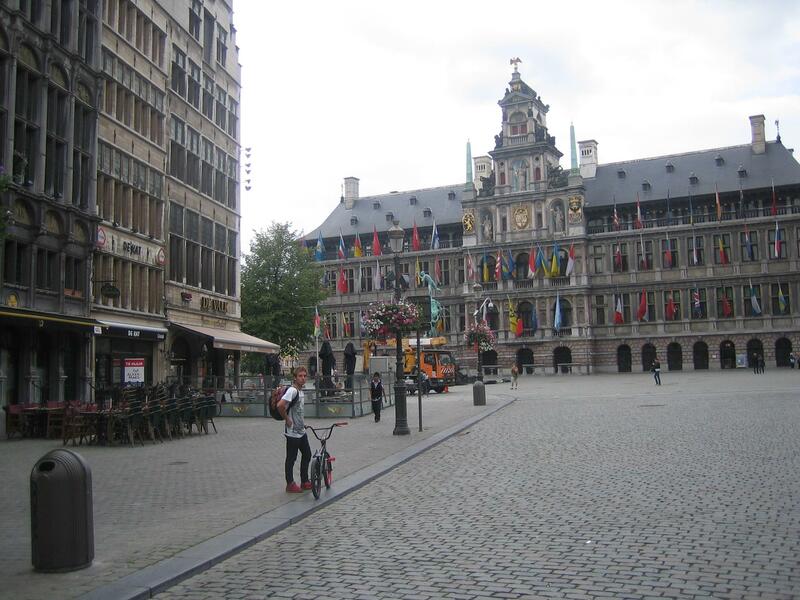 The city is distributed with Dutch-Belgian houses, city halls and public buildings. The Cathedral of Our Lady stands as the tallest of all structures constructed throughout the 14th century, and is also most significant site. The place is spread out generously with stores, eateries and marketplaces. The affluence of the city is evident from the very ambience, the dock and port serving as a scenic backdrop. 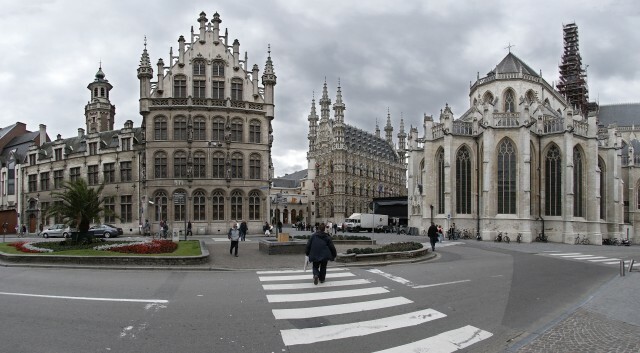 25 KM from Leuven is a city that is popular throughout for the typical Belgian beer culture. Stella Artois is the most predominant brand there. The city is the bed of Katholieke Universiteit Leuven, the world’s oldest Catholic university. The fine heart of the city makes it one of the most photographed places in Belgium. The cobbled streets, tree-lined winding roads and neat neighborhoods behind combine to conjure a beautiful rustic setting. Belgium however does not go easy on the prices, and that makes it one of the costliest in Europe. The standard of living in the country is phenomenally high, which makes the hotel tariffs spiky. However, alternatives like hostels, lodges and motels might relieve the pain slightly. Serenity, diversity, history and everything else put together, Belgium definitely makes a worthy visit to the Middle Ages.